Info: Created on 22nd February 2017 . Last edited on 22nd February 2017. Congratulations! FontStruct Staff have deemed your FontStruction worthy of special mention. 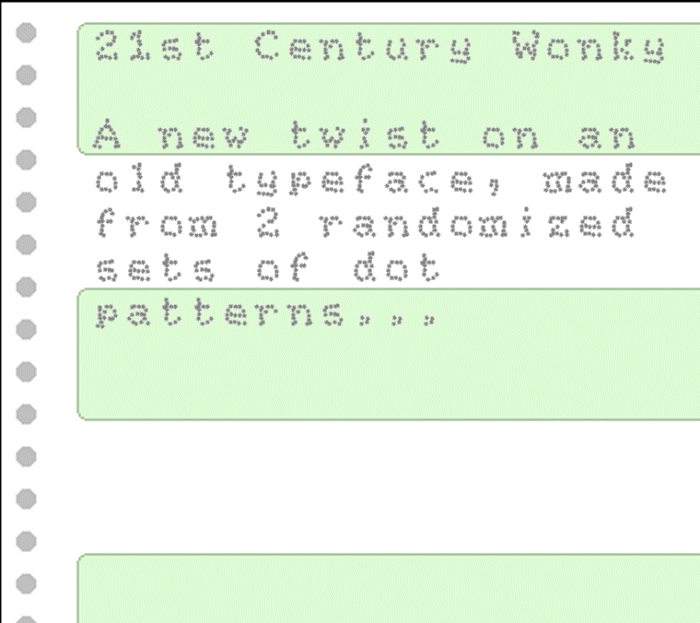 “21st Century Wonky” is now a Top Pick. I have used printers producing this kind of output. I didn't know they had so much planning power in their little brains to produce this result. 10/10 and a smile. Love the randomness of the dot placement and how some of them start to overlap! @four - Thank you, Four!